Grammy-nominated international DJ/producer Steve Aoki made his national network TV debut performance on Tuesday night on “Jimmy Kimmel Live.” Aoki was joined by Chester Bennington and Mike Shinoda from Grammy Award-winning, multi-platinum alternative rock band Linkin Park as they performed their collaboration single ‘A Light That Never Comes’ for the first time on national television. Additionally, Steve Aoki recently partnered with Music for Relief—a non-profit charity organisation founded by Linkin Park and dedicated to providing aid to survivors of natural disasters and the prevention of such disasters—to help victims of the recent Typhoon Haiyan. In recognition of his 36th birthday, Steve has pledged to match up to $36,000 in donations ($1,000 for every year he’s been alive) to Music for Relief for Typhoon Haiyan Relief. That means that with the help of his fans, $72,000 will go to the Philippines to provide urgent medical treatment, medicine, and supplies to the survivors of the typhoon. Whoever donates or raises the most money for Steve Aoki's Birthday for Relief will win a trip to see him perform on New Year’s Eve in Cancun, Mexico. Additionally, the promoter for the New Year’s Eve show, Carlos Anaya of Alive Entertainment, has generously committed an additional $10,000 to the cause. Those who want to help can start their own fundraising page at www.crowdrise.com/steveaoki and clicking Fundraise for this Campaign. The person who raises the most for Typhoon Relief by December 20 will win the free trip. Fans can donate to the cause here: http://bitly.com/AokiPhilippinesRelief. 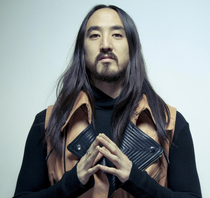 Steve Aoki himself will match every dollar donated to the cause and the funds will help International Medical Corps provide life-saving medical treatment on the ground with an emphasis on water, sanitation, and disease prevention efforts.